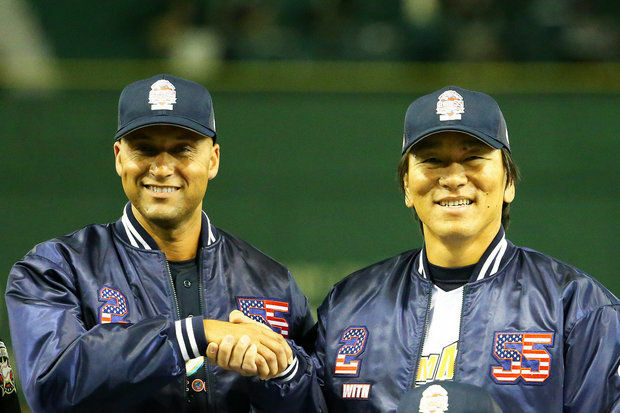 Derek Jeter and Hideki Matsui at the charity baseball game in Tokyo. On Saturday, Derek Jeter and Hideki Matsui, who were teammates for seven seasons while Matsui was on the Yankees, reunited on the diamond as they participated in a charity baseball game at the Tokyo Dome in Tokyo to support children affected by the 2011 earthquake and tsunami disasters. Jeter has said that Matsui was one of his all-time favorite teammates. Jeter accepted Matsui invitation to come to Japan on the four-day trip to help with the activities. When they were teammates from 2003 through 2009, the Yankees made the playoffs in every season except 2008, and advanced to the World Series in 2003, the ALCS in 2004 and won the World Series in 2009. Matsui was on the field during Jeter’s number retirement ceremony last September to show his respect for his Hall of Fame career. Matsui, who is now a special assistant to General Manager Brian Cashman, and Jeter were managers of two middle school teams that played a three-inning game in Tokyo. Matsui’s team won the game 2-0, according to the AP. Jeter and Matsui, who is also known as Godzilla, conducted a youth clinic and participated in a Home Run Derby. Before coming to the U.S. to play with the Yankees in 2003, Matsui played his home games at the Tokyo Dome with the Yomiuri Giants for 10 seasons, and he highlighted the home run derby by slugging a booming homer over the right field wall at his old stadium. The Captain enjoyed his visit because he got to see Japan from Matsui’s perspective as well as experience Japanese culture. Jeter has said that he wants to be able to do more traveling in retirement and that is exactly what he was able to do here. This trip was made even better because they were able to raise money to help children who were hurt by the devastating earthquake/tsunami. Jeter is grateful that Matsui invited him and he was able to give back just like he does with his Turn 2 Foundation. “It was a wonderful few days,” Jeter said. “Hideki showed me around, I got a chance to go see his hometown, I got a chance to see sumo wrestling and to top it off today was this great charity event.” Matsui was able to organize a baseball themed event that truly helped the kids of his country. On Tuesday, the Bronx Bombers officially gave Hideki Matsui, who played for the Yankees from 2003-2009, a role in the front office. His title is special advisor to the general manager. Matsui, whose nickname was Godzilla while playing, will work closely with General Manager Brian Cashman and Player Development Vice President Gary Denbo. He will spend most of this upcoming season traveling through the Yankees’ minor league system and focusing on aspects of hitting with managers, players and batting coaches. In Matsui’s seven seasons with the Yankees, he had a solid .292 average with 140 homers, 597 RBIs and a .370 on-base percentage in 916 games as a DH and outfielder. He was an All-Star in his first two seasons with the Yankees after coming over from Japan, and in his second season he had a .298 average with 31 homers, 108 RBIs, 34 doubles and a .390 on-base percentage in 162 games. 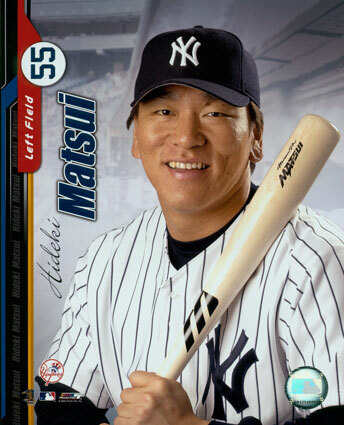 Matsui played in the World Series with the Yankees in 2003 when they lost to the Florida Marlins in six games. In 2009, he was MVP of the World Series when the Yankees beat the Philadelphia Phillies in six games. In that World Series, he had an outstanding .615 average (8 for 13) with one double, three homers and eight RBIs. He was known as a clutch hitter who played the game the right way. Based on what his role will be this season, he could be a hitting coach in the future. Some of the knowledge that he will be able to teach the minor league players will be how to be selective at the plate, how to take what the pitcher gives you by hitting the ball the other way, how to advance runners with less than two outs and how to deal with the media the right way since he had experience answering lots of questions from reporters in Japan and this country. This role makes sense for Matsui (even though he might need a translator at times) because the young up-and-coming players will be able to relate to him and he will have advice to offer the players and hitting coaches. It was also announced on Tuesday that Stephen Drew will be the Opening Day second baseman. This was not all that surprising because the Yankees signed the veteran to a one-year, $5 million contract in the offseason, but the Yankees could have waited until later in spring training to see if Jose Pirela and Rob Refsnyder continue to hit the way they have so far. The Yankees are thinking that Drew, who missed spring training from 2012-2014 due to injury the first two years and not having a contract last season, will have a productive start to the season as a result of being healthy and playing in all of spring training. He was not able to recover from his late start to the season as he had a .162 average with seven homers and 26 RBIs in 85 games with the Red Sox and Yankees last season. If he can hit the way he did in 2013 or better, when he helped the Red Sox win the World Series, then he will be worth having in the lineup. In the 2013 season, he had a .253 average with 13 homers, 29 doubles, eight triples, 67 RBIs and had a .333 on-base percentage. That was his third highest on-base percentage of his nine-year career. Drew is still learning second base after playing shortstop his whole career before being traded to the Yankees in the middle of the 2014 season, but this spring training should allow him to further get used to the different nuances of playing second. He made four errors in his 34 games played at second with the Yankees last season, which isn’t that bad since he was learning the position on the fly. The Yankees plan on having a short leash with Drew if he still can’t hit when the regular season starts. This means that Refsnyder and Pirela will still compete to see who will deserve to be Drew’s back-up and replace him if he can’t produce offensively. Refsnyder projects to be the better player in the long run based on the overall offensive skills that he displayed last season, but Pirela has the edge right now because he is older, hit .333 in seven September games in 2014 and offers more versatility defensively as he can play second, short and left field. In five games played through March 10, Pirela has a .455 average (5 for 11) with three RBIs. That is a small sample size, but he proved to be able to hit for a high average when he had a .305 average in 581 at-bats with Triple-A Scranton last season. Tanaka pitching during his first start of the season. The Yankees beat the Los Angeles Angels of Anaheim, 3-2, on Sunday Night Baseball for their second win of the three-game series at Yankee Stadium. David Robertson walked one and struck out two in the ninth on his way to his fourth save of the season. This was his second save in as many days. Masahiro Tanaka only allowed two earned runs in 6.1 innings pitched. However, his control was worse than in his previous four starts and his wildness led him to be taken out before the seventh inning for the first time this season. He allowed four walks and hit his first batter of his career, but he was able to make big pitches when he needed to and his splitter was working to perfection. Tanaka was due to have some control issues since in his first four starts he only had two walks. Tanaka had a 31-0 record in the regular season coming into the game and the offense was able to help him keep that streak alive. He was able to get the majority of his strikeouts off of batters swinging at strike three. Tanaka, who had 11 strikeouts, now has an impressive 46 strikeouts over 35.2 innings in five starts. The Yankees were able to win the game even though they only tallied three hits to the six that the Angels had. The Yankees ended up winning the game as a result of scoring a run in the eighth inning after not recording a hit. After Jacoby Ellsbury and Carlos Beltran walked, Nick Maronde’s passed ball that went straight to the backstop after Chris Ianetta flat out missed it, caused Ellsbury to advance to third and Beltran to second. Then, with Brian McCann still batting, Maronde’s wild pitch that bounced a few feet before it reached the plate sent Ellsbury home to make the score 3-2 in favor of the Yankees. Mark Teixeira, who had one hit in his last 10 at-bats coming into the game, blasted a home run to the second deck in right to lead off the seventh to tie the score at two. That was his second homer of the season. The solo round tripper tied him with Hideki Matsui and Tom Tresh for 31st in Yankee franchise history with 140. David Freese hit a homer to right center to lead off the sixth inning to give the Angels a 2-1 lead. The Angels lead the league in home runs. In the sixth inning, Carlos Beltran got on base after Richards could not catch Pujols’s toss to him at first, after Pujols made a great play to prevent the grounder from going into the outfield. The Angels and Yankees both scored their first runs off of ground outs with runners on third. J.B. Shuck grounder into a fielders choice for the Angels and Ichiro Suzuki grounder to Erick Aybar at short allowed Teixeira to score. Teixeira scored his 384th run as a Yankee, which puts him eight behind Lou Piniella for 55th place. Adam Warren, who has been a much better pitcher out of the bullpen than he was as a starter, allowed one hit and struck out two in 1.2 innings pitched after Tanaka was taken out of the game. The Yankees, who have won five of their past seven games, have a 15-10 record and a 2.5 game lead over the Baltimore Orioles in the AL East. They will have an off day on Monday before Robinson Cano makes his highly anticipated return to Yankee Stadium as a member of the Seattle Mariners. 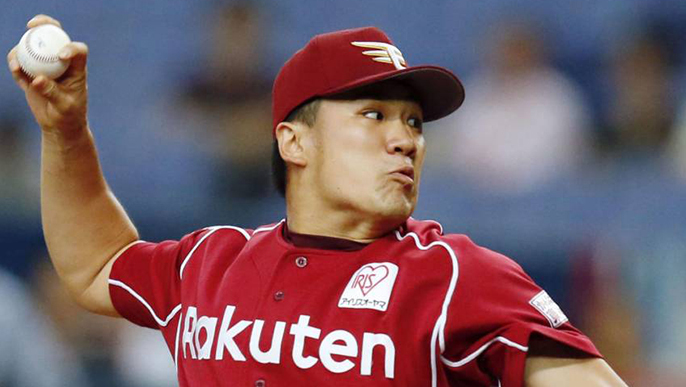 This is Tanaka pitching for the Rakuten Golden Eagles. “Hello! My name is Masahiro Tanaka. I am very happy to be a Yankee.” That was what Tanaka said in English to open his press conference at Yankee Stadium on Tuesday afternoon. He will likely be the No. 3 starter, following CC Sabathia and Hiroki Kuroda, after signing seven-year, $155 million contract on Jan. 22. After having under a 2.00 ERA in each of the past three seasons for the Rakuten Golden Eagles in Japan, the Yankees will need Tanaka to have a successful season in his first season. The Yankees are counting on him having an ERA in the low to mid 3.00 range and picking up about 15 wins. Tanaka, who is 25, had a remarkable 1.27 ERA last season and struck out 183 batters while only allowing 32 walks. An adjustment period is expected during April, based on the new hitters, new mound and new ball, but he should be able to have success based on how Bobby Valentine and others have supported him. In order to get to his press conference in the Bronx, he paid $195,000 to rent a 787 Dreamliner for himself, his pop star wife, his toy poodle and few others in his entourage to get to JFK Airport in style. It took him more than eight hours to get from where he lives in Japan to Naruta Airport based on snowy conditions. He needed such a big plane for not many people apparently because there were not many at the airport. His grand entrance into NYC definitely lives up to his $155 million contract. There were 200 reporters at the press conference. This was the largest press conference that the Yankees have had for a new player since Hideki Matsui’s in 2003. This is partly because of all of the Japanese media that were in attendance. The rest of what Tanaka told the media was through his interpreter. Tanaka’s number one goal with the Yankees is to win the world championship. He first came to NYC in high school, and Tanaka remarked that it was very cloudy. He said that there is a lot of sunshine this time so he has a good impression of New York. When he first came to New York he notably ate sushi that he bought at a grocery store nearby. Tanaka would not comment if another team offered more money. This caused Hal Steinbrenner, Brian Cashman and Randy Levine to smile in approval. He wanted to pitch in the MLB to see where he could get to with his ability. He looks forward to exploring and learning more about NYC. He liked the draw of the rich history and tradition of the Yankees. 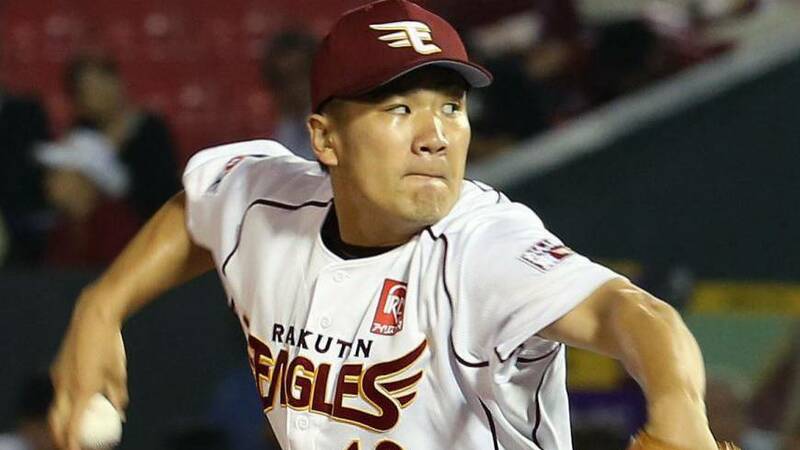 He is used to the spotlight based on pitching in the World Baseball Classic as well in important games for the Rakuten Golden Eagles. Cashman thought it helped that the Yankees had been on TV so much in Japan because of Hiroki Kuroda, Ichiro Suzuki and Hideki Matsui. The Yankees have scouted Tanaka since 2007. Tanaka added that when he spoke to Matsui before signing with the Yankees, he didn’t tell him much, but said that New York is a great city. Matsui, who is still involved with the team and lives in NYC most of the year, Ichiro and especially Kuroda, should be able to help Tanaka with his transition. Kuroda, who is a pitcher who has pitched well in his first two seasons with the Yankees, and had ERAs between 3.07 and 3.76 in his four seasons with the Los Angeles Dodgers, should be able to help him with his adjustment to pitching with the Yankees and to MLB hitters. He will also be able to help him adjust the constant media scrutiny. Masahiro Tanaka pitching in a game for the Golden Eagles. After much speculation, the 25-year-old Japanese ace Masahiro Tanaka has officially joined the rotation of the New York Yankees. As of January 21, he was reportedly down to the Chicago Cubs or the Yankees. 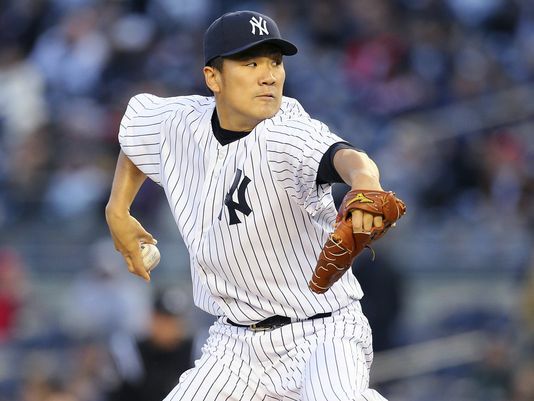 Tanaka has signed a seven-year deal that is worth $155 million. The contract includes an opt out clause after the fourth year. Hideki Matsui, who played outfield for the Yankees for seven seasons and was MVP of the 2009 World Series, reportedly called Tanaka on the Yankees behalf to try and recruit him, according to the YES Network. Tanaka will be the third current Yankee from Japan, joining Ichiro Suzuki and Hiroki Kuroda. The other four players from Japan that have played for the Yankees are Hideki Irabu, Kei Igawa, Ryota Igarashi. His stats while playing for the Rakuten Golden Eagles of the Nippon Professional Baseball, which is Japan’s version of Major League Baseball, are outstanding. In seven seasons, starting at age 18, he compiled a 99-35 record, 1,238 strikeouts, only 275 walks and 53 complete games. Two seasons that stand out are this past season and his 2011 season. In 2011, he had a 19-5 record, an unbelievable 1.27 ERA in 226.1 innings and 241 strikeouts. This past season, Tanaka had 24 wins without a loss, matched his outstanding 1.27 ERA from 2011 (he will not come close to this ERA in 2014), only allowed 168 hits in 212 innings, while striking out 183 batters and only walking 32. If Tanaka can have about a 3.20 ERA and 15-17 wins that would be a great first season away for the Yankees. He will have to adjust to a smaller baseball, a different strike zone and more talented hitters in the American League. However, since he is 25, he will be a key piece this season as well as in the future because CC Sabathia will turn 34 in July and Hiroki Kuroda is likely in his last season before he retires. The concern with Tanaka is that he averaged 190 innings a year and threw 160 pitches in nine innings in the championship series this past season. Only about five players in the history of MLB have thrown as many pitches as Tanaka has in their first seven seasons, but if he turns out to be similar to Yu Darvish, the last Japanese import, he will be a great asset for the Yankees. Scouts have said that he might be better than Darvish, and Tanaka throws a split-fingered fastball that Bobby Valentine has said is the best in the world. (Valentine was the manager of the Mets when the Yankees beat them in the World Series in 2000.) If this is true, then that will definitely translate. Valentine’s word can be believed because he managed in Japan’s Pacific League from 2004-2009 (part of Nippon Professional Baseball), which means that he managed against Tanaka for his first three seasons. Tanaka also has a slider, a four-seam fastball that has late movement, a two-seam fastball and a 71.5 MPH change up in his arsenal. He should slot third in the pitching rotation behind CC Sabathia and Hiroki Kuroda, and ahead of Ivan Nova. If Michael Pineda makes the rotation and pitches like he did in the 2011 season when he was an All-Star as a rookie for the Mariners then that will make the rotation even deeper. This acquisition is great news for the Yankees because they couldn’t go into the season with question marks in two spots of their rotation. The Yankees need Sabathia to bounce back from his sub-par season that saw him finish with a 4.78 ERA. He should be able to based on his previous stellar pitching. It will be important for him to increase his velocity a little from where it was last season. The Yankees have had the best off season in baseball and they needed to make the signings that they have since they missed the playoffs last season. They will not be below the $189 million threshold as a result of this signing, but they saved A-Rod’s contract for this season and contending for the World Series is more important than those monetary benefits. Matsui’s ceremony before the game. The Yankees (55-50) were able to get a much needed win against the Tampa Bay Rays on Sunday afternoon, which prevented a sweep to their American League East rivals. The game was highlighted by Derek Jeter’s return from the disabled list and Alfonso Soriano’s first homer during his second stint with the Yankees. The 6-5 victory means that the Yankees are now only 2.5 games behing the Rays and the Baltimore Orioles for the Wild-Card. Ichiro Suzuki, who had four hits and an RBI, said that the Yankees are basically a new team now with the additions of Jeter and Soriano to the lineup. That is definitely the truth because they now have a another power bat to combine with Cano in the middle of the lineup and another hitter in Jeter who can hit one out of the park and be counted on for a clutch hit. These two former teammates allowed the Yankees to bust out of a long power outage. Also, Hideki Matsui, who had a great tenure for the Yankees from 2003 until 2009, where he was a great teammate, drove in more than 100 runs for times, and was the MVP of the World Series championship in 2009, signed a one-day minor league contract so that he could officially retire as a Yankee. He always gave all out effort and never wanted to take a day off which is why Derek Jeter said that he was one of his favorite teammates in an interview. After his on field ceremony, and previous official contract signing in a conference room at the stadium, Matsui came back on the field to throw the ceremonial first pitch. It was a strike and it looked like Matsui could still throw the ball with conviction. 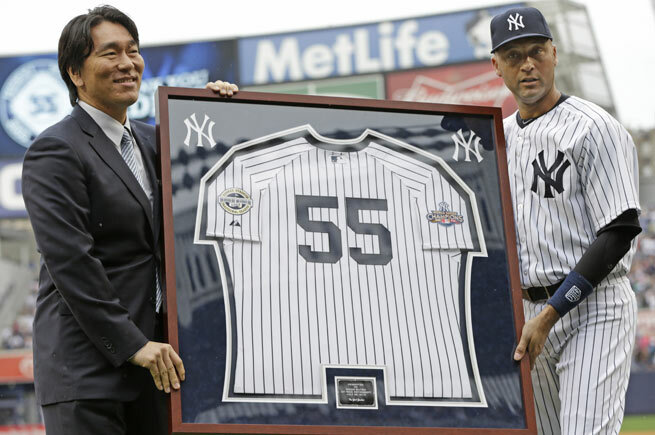 The Yankees gave fans a Matsui bobblehead and he was given a personalized framed jersey before the game from Derek Jeter. Even though he played for the Los Angeles Angels of Anaheim, the Oakland Athletics and Tampa Bay Rays after leaving the Yankees in 2009, he said he always considered himself a Yankee. The ceremony obviously meant a lot to him since his parents came from Japan to be on the field for the ceremony. Jeter, who homered on the first pitch that he saw in first inning after coming off of the disabled list, gave the Yankees their first homer since the All-Star break (nine games) and their first home run by a righty since June 25. It was a high fast fastball that Jeter has used to go the other way many times for a homer in his Hall of Fame career. Later in the first inning, Vernon Wells hit a sacrifice fly to drive in Robinson Cano and Ichrio’s single to center drove in Soriano. Phil Hughes struggled at home yet again as he gave up two homers to Rookie of the Year candidate Wil Myers, in his four innings pitched, which accounted for four of the five runs that he allowed. The bullpen did an outstanding job limiting the Rays offense since they only allowed one hit in four innings. Since Hughes obviously can’t handle pitching in the Bronx, the Yankees should see if a team will trade quality back for him. If not, then they should keep him. In the third inning, Soriano hit a much needed home run to drive in Jeter. That was his 18th homer of the season. That puts him second on the team to Cano’s 21. In the ninth, Soriano hit a walk-off single that drove in Brett Gardner to give the Yankees a dramatic win in his third game back with the team. It was his fourth hit and third RBI of the game. Granderson could return to the team on Friday, which will give the Yankees a much more formidable lineup than they had a few days ago. Their 1-5 in the batting order will likely be Brett Gardner, Derek Jeter, Robinson Cano, Alfonso Soriano and then Curtis Granderson. This win, highlighted by Jeter and Soriano, could definitely be a sign of what is to come. It was fitting that Jeter and Soriano came up with big homers during this game because they were teammates with Matsui in 2003.